Bayern Munich’s legendary power of recovery is to be fully examined by traditional rivals Borussia Moenchengladbach in this weekend’s most attractive Bundesliga fixture. After winning his first six assignments, Robert Kovac’s Bavarian juggernaut has come to a shuddering halt. 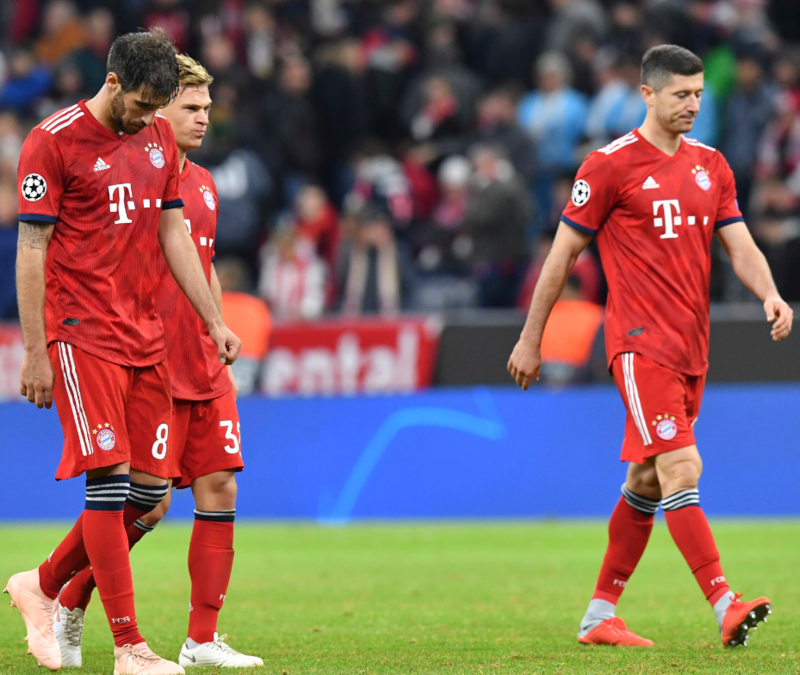 Tuesday’s one-all draw at home to Ajax Amsterdam in the Champions League was preceded by an identical stalemate with Augsburg at the Allianz Arena and 0-2 setback at Hertha Berlin. The Berlin-born former Croatia international is however not panicking. Kovac continues to chop and change as he tries to precipitate a revival. In the continued absence through injury of French World Cup winner Corentin Tolisso, and Portugal star Renato Sanchez’s patchy form, Kovac is expected to field the tried and trusted three-man midfield of Javi Martinez, James Rodriguez and Thiago Alcantara. Winners of five Bundesliga titles during a golden era during the seventies when they gave Gerd Muller and Franz Beckenbauer a run for their money, Gladbach have gone off the boil in recent years. But they usually give their best in games, so fans are anticipating a humdinger. However, action in Germany’s top flight league commences on Friday night with Werder Bremen colliding with Wolfsburg in a matchup between former champions. Summer signing Alassane Plea continues to partner veteran Claudio Pizzaro in a vibrant Bremen attack. Equal attention will be paid to Signal Iduna Park where Borussia Dortmund fans are detecting a revival of epic proportions. Lucien Favre’s yellow and blacks have dethroned Bayern Munich from table leadership after firing in 14 goals in their last three matches. Though visitors Augsburg always carry a threat on the counter, they will be wary of a Dortmund that whacked Nuremberg 7-0 in their last home game. Another mouth watering match up sees Domenico Todesco’s Schalke attempt to build some momentum. After a disastrous start that saw the Gelsenkirchen club loss five on the bounce, identical 1-0 victories over Mainz and Locomotiv Moscow have lifted the gloom over last season’s deputy champions. The rest of the fixtures see Hoffenheim welcome an Eintracht Frankfurt side buoyed by Thursday’s Europa League victory over Lazio; Mainz host high flyers Hertha Berlin; Hanover confront Stuttgart in a relegation scrap, and RB Leipzig battle newcomers Nuremberg.